Quatro Casino (QC) takes on the typical four-sided dice as brand icon to represent the fast-paced real money casino gaming action offered by the site. Apollo Entertainment Limited founded Quatro Casino in 2009, which it initially operated under its Malta Lotteries and Gaming remote operating licence. 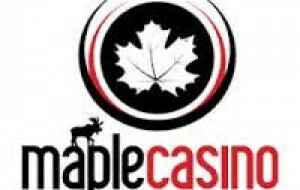 In 2011, QC became one of the online casinos operated and managed by the Cash Rewards Group (CRG) under CRG's Kahnawake casino gaming licence, with its game offerings strictly monitored and supervised by the Kahnawake Gaming Commission. Under CRG's management, Quatro Casino's Internet presence was made stronger by the eCOGRA Safe and Fair Seal, as it denotes that QC passed the independent regulatory body's standards for a secure, reasonable, and responsible Internet-based real money gaming site. Quatro offers more than 500 near-real casino games developed and furnished by pioneer games provider Microgaming, purely as recreational gambling diversion. The full-bodied suite of real money games contains hundreds of three or five reel slots with varying characteristics, from payline features to game ideas and game plays. The collection also includes challenging casino card and table games such as blackjack, video poker, roulette and dice games that are likewise available in different gaming styles and variants. Currently, the most popular games at Quatro Casino include “Thunderstruck II,” “Caribbean Draw Poker Gold Series,” and “Atlantic City Blackjack.” Yet there are other real money betting games that bring not only good cheer to QC customers but also great cash rewards. Players can always check them out by visiting the Winners List page. At Quatro, new members receive rewards at the very onset of the signing up process, as the online casino doles out $/£/€100 worth of scratchcards as Welcome Bonus. Any hidden cash prize unraveled from the scratchcard will be awarded as the free money bonus of a new member. He or she can use the free money credit to try out QC's real money games. A new Quatro member needs only to deposit $/£/€1 in order to claim the bonus betting money won from the scratchcards. CRG offers incentives by way of loyalty points to active players participating in all CRG member casinos, such that all loyalty points earned from playing at any CRG partner casino is collectively redeemable using one's CRG VIP Loyalty Rewards account. Players earn points based on the amount of money placed as bets and in accordance with the VIP Loyalty Reward scheme. Every 100 points collected equates to one playing credit, while an accumulation of 1,000 points are redeemable as cash-back money. However, when withdrawing money received as bonus or as cash-back incentives, there are specific deposit requirements and wagering activities with which a player must comply, before actual cash out request is approved for processing. QC's all-day and all-night customer service team will be on hand to answer live chat messaging and phone calls via the toll-free numbers listed in Quatro's “Contact Us” page. Existing, new, and would-be Quatro members can also send in their queries or put forward a request for the QC support team to initiate phone contact by sending an email. Quatro Casino offers mobile gaming through its CRG casino partner Casino Action, which offers a $/£/€1,250 worth of betting money to mobile device users, who will enlist as Casino Action member. Quatro Casino is a recently established online gaming website that contains a large variety of casino games, from slots to poker. The site also has the standard security features put in place and enticing new member bonuses for those interested in joining. 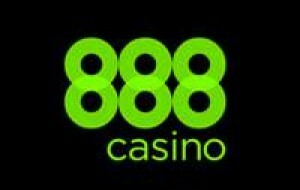 Any questions with the casino's offerings can be addressed with the site's customer support team.